Mitt Romney, the king of ‘flip floppers’, has done it again and this time it’s around gas prices. Yesterday he spoke out about why prices were so high. Mitt must not have gotten the memo sent out by the Republican Party to make sure places like FOX News were not talking up small improvements in the economy but focusing on gas prices and unemployment. So what’s all the hub-bub about with gas prices? Sure the prices has gone up in America…but to what? 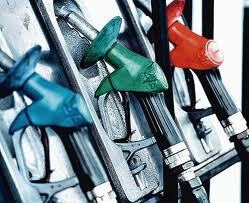 Prices in the weekend averaged $US3.81 a gallon.